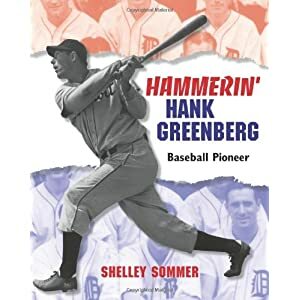 When the representative of the Sydney Taylor Book Award called to tell me that Hammerin’ Hank Greenberg is a 2012 Honor Book, it took me a minute to fully “get it.” For years, I have eagerly read the list of the winners of this award, along with the other children’s book awards announced each January. It never occurred to me that my book would join the respected list of authors and illustrators who receive Sydney Taylor Awards. The first thing I did after hearing the news was to purchase a hard cover copy of Sydney Taylor’s classic novel, All-of-a-Kind Family. Of course, I read the book as a young girl, long before I anticipated any association with Sydney Taylor. Published in 1951, Taylor’s book (and its four sequels), follow the adventures of five Jewish sisters and their parents living in New York City during the early 1900s. I don’t recall the details and am looking forwared to re-reading it, but I can remember the peek into another world that Taylor’s books provided and looking for pictures of New York City after reading them. Taylor’s world was “foreign” and exciting – in the same way as Laura’s life on the prairie. I grew up in a suburb of Dayton, Ohio and, quite frankly, many of the people I knew shared common backgrounds and beliefs. I didn’t visit New York until I was an adult, but Taylor’s books were one of my first literary experiences of that city. Like the family in Taylor’s novels, I grew up with sisters and books with families of girls had special appeal. Little Women, The Little House books, and Sydney Taylor’s All-of-a-Kind Family. These stories were my gateway into other worlds and inspired my life-long love of reading. I’m going to curl up soon with Taylor’s novel – the real book, not an e-book. When I read the books for the first time in the 1970s, a Nook was something you “sat in.” When I revisit Ella and her sisters, I want to read it the same way I read it the first time. 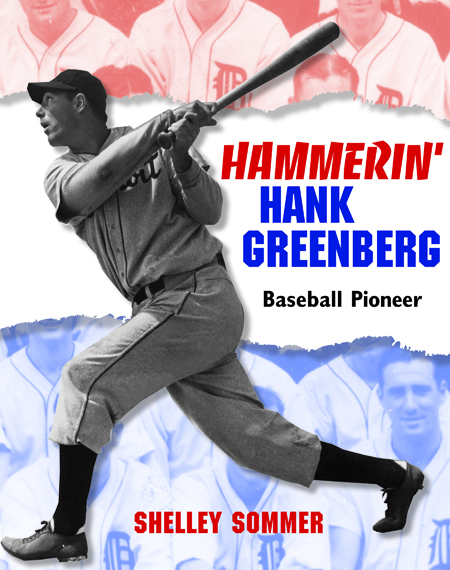 Thanks to Barbara Krasner at The Whole Megillah for her support of my book, Hammerin’ Hank Greenberg: Baseball Pioneer. The Whole Megillah is a website totally devoted to Jewish-themed books for children. Recently, Barbara asked Carolyn Yoder (my editor) and me to answer a few questions about Hank Greenberg. Thanks also to Nauset Regional Middle School for inviting me to talk about Hank Greenberg and celebrate their summer reading program with them. I visited a group of students last week and really enjoyed seeing their beautiful school. While I was in Orleans, I stopped by The Chocolate Sparrow for an Iced Mocha Sparrow. A pile of magazines and lots of good people watching – a wonderful way to end my afternoon. One more note: the last book I added to my “to read” stack is The Berlin Boxing Club by Robert Sharenow. A young adult novel that takes place in 1936 Berlin – the same time Greenberg was hitting home runs in Detroit – The Berlin Boxing Club is the story of a Jewish boy who gets boxing lessons from German champion Max Schmeling. While eating lunch today, I decided to check my e-mails. It turned out to be a good idea because one of the messages included the Booklist review for my biography of Hank Greenberg. Publication day is right around the corner – March 1. As a side note, I totally agree with the Booklist reviewer about McDonough’s picture book. It is a wonderful introduction to Greenberg’s story. And finally, a special note to Netflix members: Consider adding Aviva Kempner’s award-winning documentary, “The Life and Times of Hank Greenberg” to your queue. Watching Kempner’s film is the first thing I did when beginning this project. It’s an inspirational and fascinating look at Greenberg’s life and the times in which he played. I’m especially pleased that my book is being published in 2011, the 100th anniversary of Hank Greenberg’s birth.